The last thing I want when its evening is to be wound up. That’s the whole point of taking time to relax. So of course, I don’t want to be consuming caffeine which will keep me up at night. That is why I love the Celestial Seasonings teas. I love that these teas are high quality and made with the consumer in mind. All of their ingredients come directly from the farming communities that grow them. The teas are made from the finest ingredients and contain no artificial flavors, colors or artificial preventatives. Plus, the packaging is sustainable. The teabags themselves are made without strings, tags, or staples which means that it is keeping tons of material out of landfills. Even the box is printed on 100% recycled paperboard. 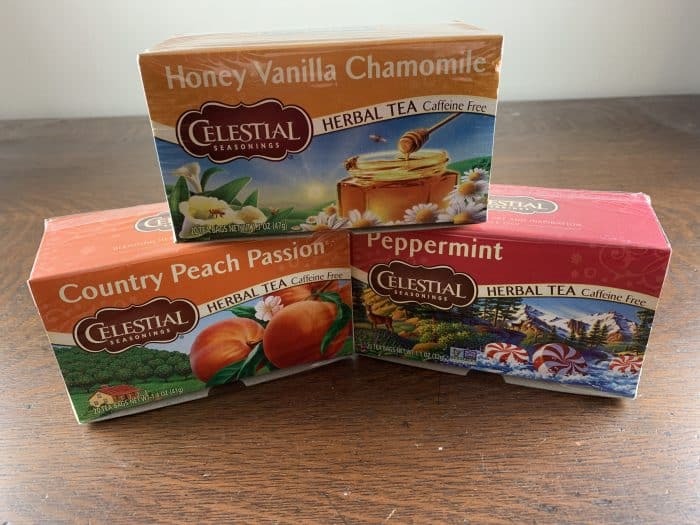 Walmart has a great variety of Celestial Seasonings teas including my favorite, Country Peach Passion. 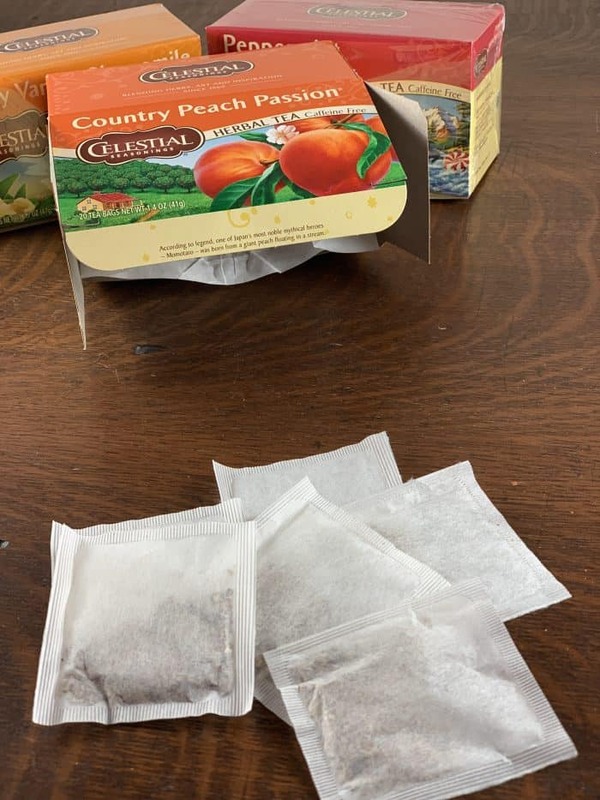 What is even better is that not only can these teas be brewed into hot tea, but ones such as the peach are perfect for making iced tea with as well. In fact, all you have to do is pour boiled water over two tea bags, allow to steep for four to six minutes, and remove the tea bags. Pour into a tall glass filled with ice. 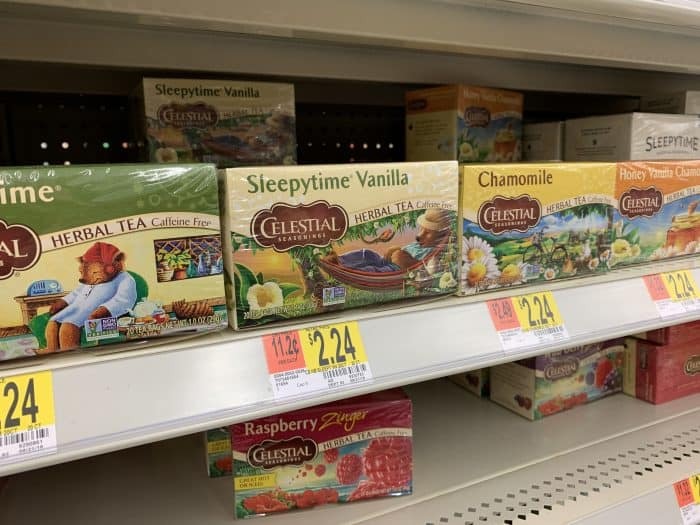 These teas are available in not only the tea and coffee section of the store, but are also available for pickup as well. 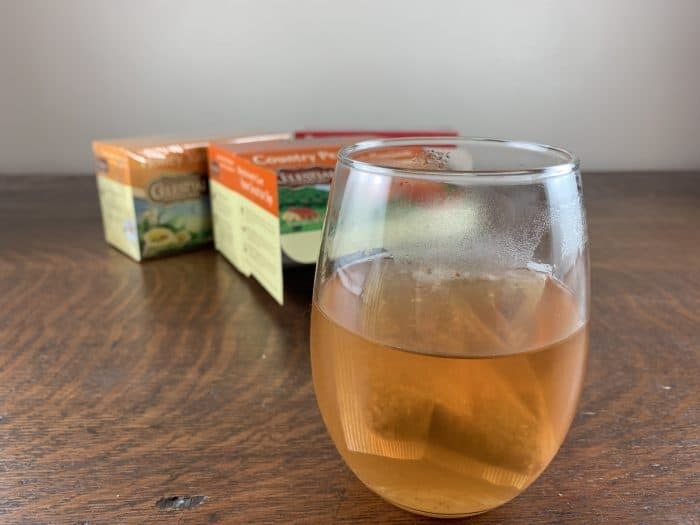 With delicious flavors such as the peach, as well as peppermint and honey vanilla chamomile you can be sure that I will be stocking up!